If you’re the kind of person that still goes to record stores, you know how to find what you’re looking for: Miles Davis is under jazz, Taylor Swift is under pop, and Limp Bizkit — God bless your soul — is under nu-metal. But these genres, as evidenced by the way electronic-music nerds argue about what’s techno and what’s not, are imposed by critical listeners. They’re also, as a new paper on how people consume YouTube music-videos suggests, less relevant to how people use music than some grumpy critics may care to realize. 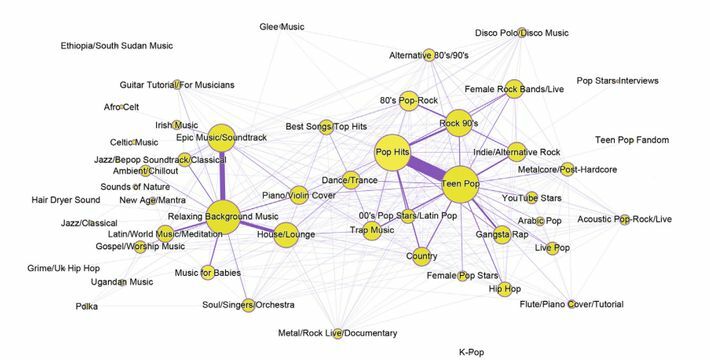 In the paper, a team lead by State University of Milan sociologist Massimo Airoldi analyzed the “relatedness” of 22,141 YouTube music videos, which is what determines which videos are suggested views after the ones you just watched. Google (which owns YouTube) isn’t exactly transparent about how the algorithm is calculated, but from what the researchers can find, it’s a matter of how often people watch one video after another. It’s “the outcome of users’ aggregated viewing patterns,” they write. 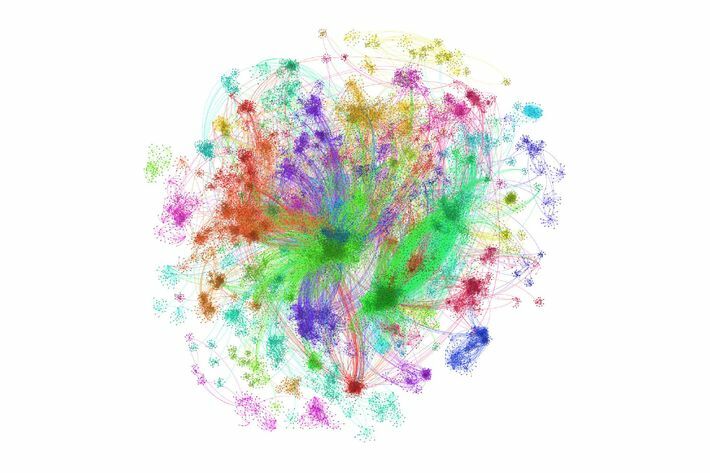 What Airoldi and company found was that 90 percent of the time, the videos were “clustered” together into groups that fall under familiar genres. Country, trap, Irish music, Ugandan music, Arabic pop: Those were all genres represented by distinct clusters of videos. Justin Bieber neighbored Ariana Grande and One Direction, not Megadeth or Dizzy Gillespie. “These two videos are at the core of two clusters featuring, respectively, hours of natural sounds and hours of operating hair dryers and vacuum cleaners, whose noise helps (millions of) listeners to relax or sleep,” he says. Similar videos (and their clusters) were tagged by their uploaders as being for keeping babies calm, supporting meditation, and aiding worship. 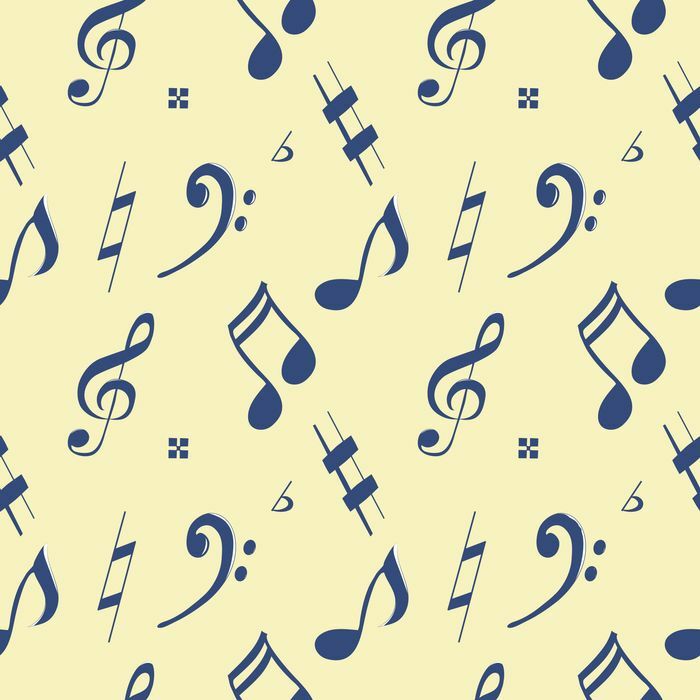 In a feat of marketing, Mozart and Beethoven were often described as music for studying, thereby increasing their views. A full 10 percent of videos indexed fell under this rubric of “situational music consumption,” where the user isn’t really “listening to music” for aesthetic enjoyment, but putting on the sounds that suit a certain situation. While the paper doesn’t get into causality, Airoldi chalks up the situational listening to the insane amount of music now available to us. With all the music that’s available — and all the ways to listen to it — you get to tailor your listening precisely to the situation. So your life becomes a little bit like one long DJ set.